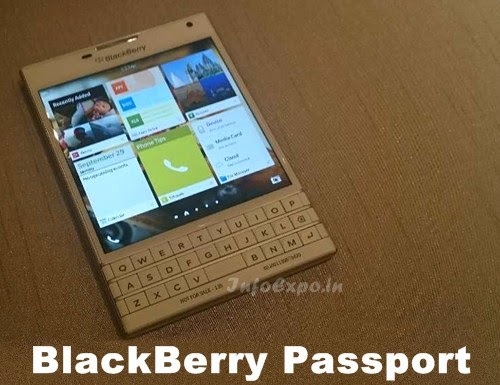 BlackBerry Passport is the latest expensive smartphone for professionals from Blackberry. It has an awesome unique design which resembles a passport. BlackBerry Passport runs on blackberry OS BB10.3 and is powered by very powerful quad core Snapdragon 800 processor, Adreno 330 GPU, along with 3 GB RAM.